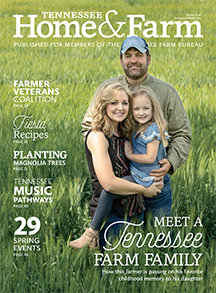 Tennessee Home and Farm - Explore Tennessee food, recipes, farms, gardening and rural lifestyle content from Tennessee Home and Farm, the Tennessee Farm Bureau magazine. You can follow the discussion on <strong>Why FFA Matters</strong> without having to leave a comment. Cool, huh? Just enter your email address in the form here below and you're all set.